Blue collar workers won him the election. They’re still waiting for him to deliver. Donald Trump was saying everything Vonie Long wanted to hear, not that Long believed him. Long, a stout man with a bristly gray mustache, was impressed. Republicans didn’t usually talk like this. 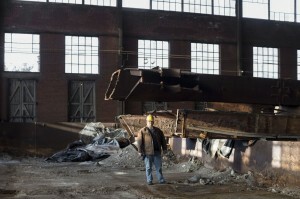 “Any of us steelworkers could have given that exact speech,” he told me recently. And while Long, a Democrat, voted against Trump, after the election he hoped that Trump might actually follow through. But it hasn’t panned out that way. A year into Trump’s term, the factories have not roared back. His accomplishments–a massive corporate tax cut, a strong stock market–have largely redounded to the benefit of the bankers and fat cats. Trump has taken few of his promised actions on trade and manufacturing. The American steel industry has suffered as the market floods with imports, forcing prices down, all while the Administration dithers and delays over tariffs. As Long sees it, no one should feel more betrayed by the Trump presidency than the archetypical Trump supporter: the white working-class voter whom Trump dubbed the Forgotten Man.